In northern India, the arrival of winters is marked by the advent of juicy red carrots in it’s sabzi (vegetable) bazaars. One can often find bright carrots stacked in beautiful patterns by sabziwallas (vendors) with water sprinkled on them to keep them fresh and shiny in the display. 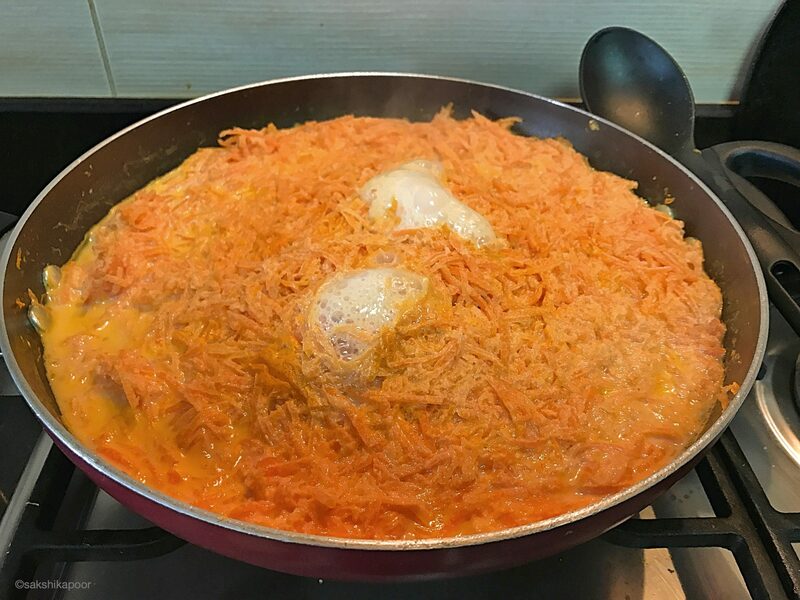 Once the red carrots are in abundance and their prices start falling, people buy them in bulk for making a juicy yet creamy pudding called Gajrela. 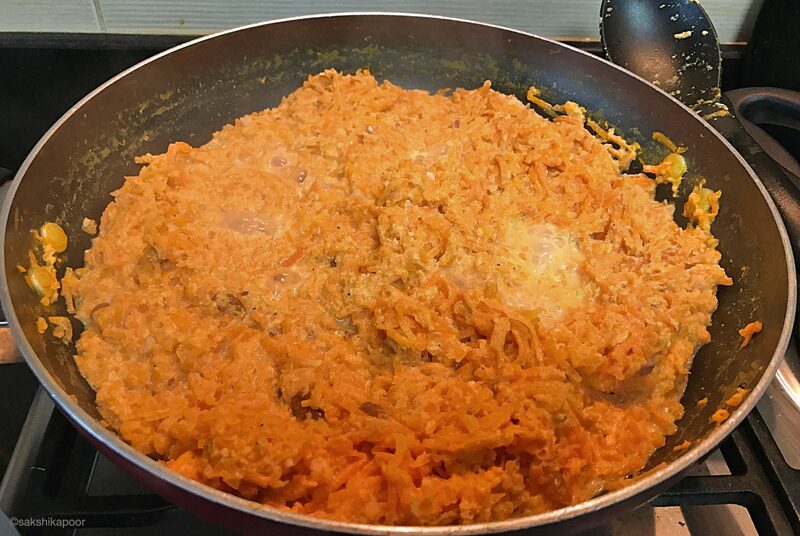 Gajrela or Gajar ka Halwa is a sweet dish made with milk and shredded carrots. 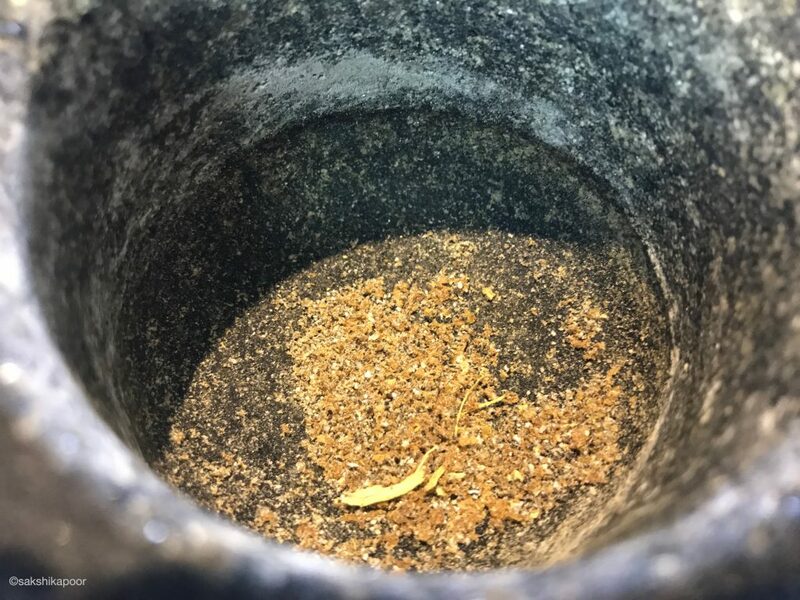 Prepared Gajrela can be stored in the fridge for a couple of weeks and is enough to satisfy the sweet cravings of the entire family. Our love for Halwa is not new. 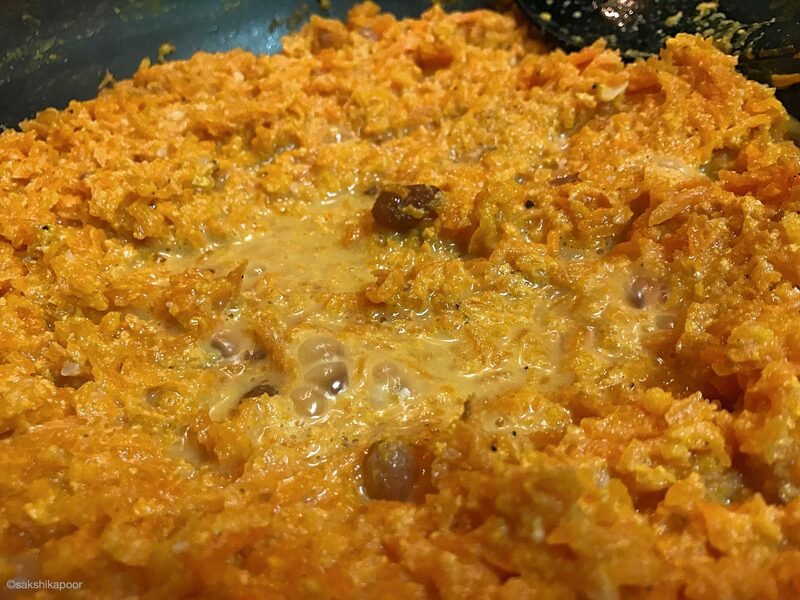 We’ve shared our Besan Halwa recipe on the blog earlier. And like other halwas, this one is also as multicultural as they come. Gajar or Jazar in Arabic is known to have been be first cultivated in central Asia some 1100 years ago according to the World Carrot Museum (Yes, such a place exists!). 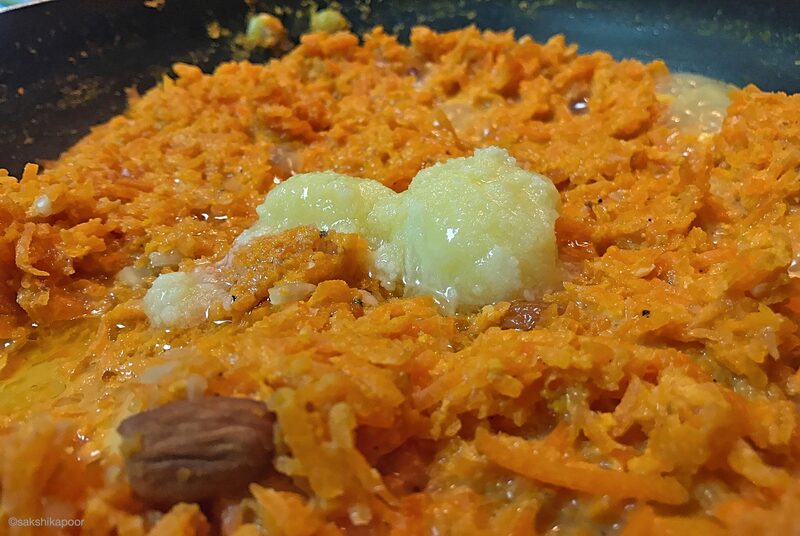 A lot of Indian cook books mention Gajar halwa to have it’s origins in the Punjab region during the Mughal era. It’s popularity is not restricted to India as it is savoured in Pakistan and Bangladesh as well. 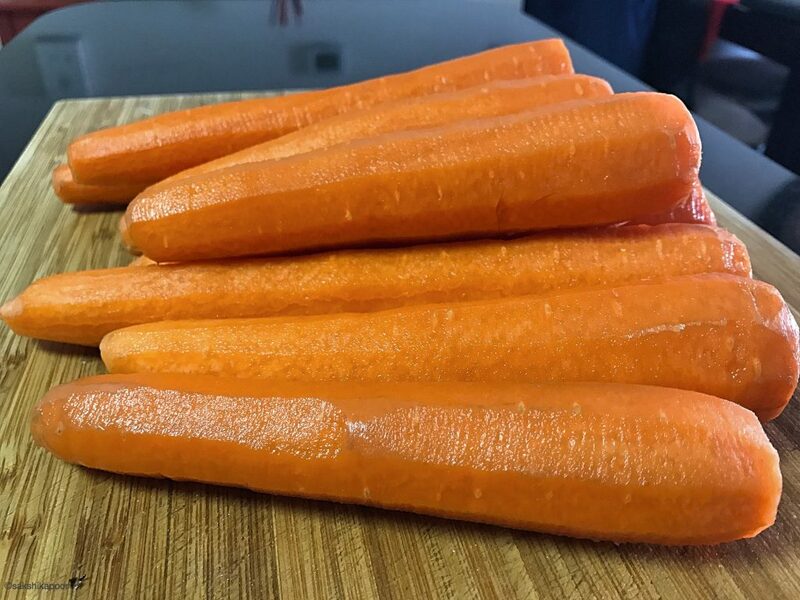 Carrots weren’t originally red or orange. They were mostly purple until Dutch farmers cross bred yellow and red varieties to come up with orange carrots which are easily available almost everywhere now. 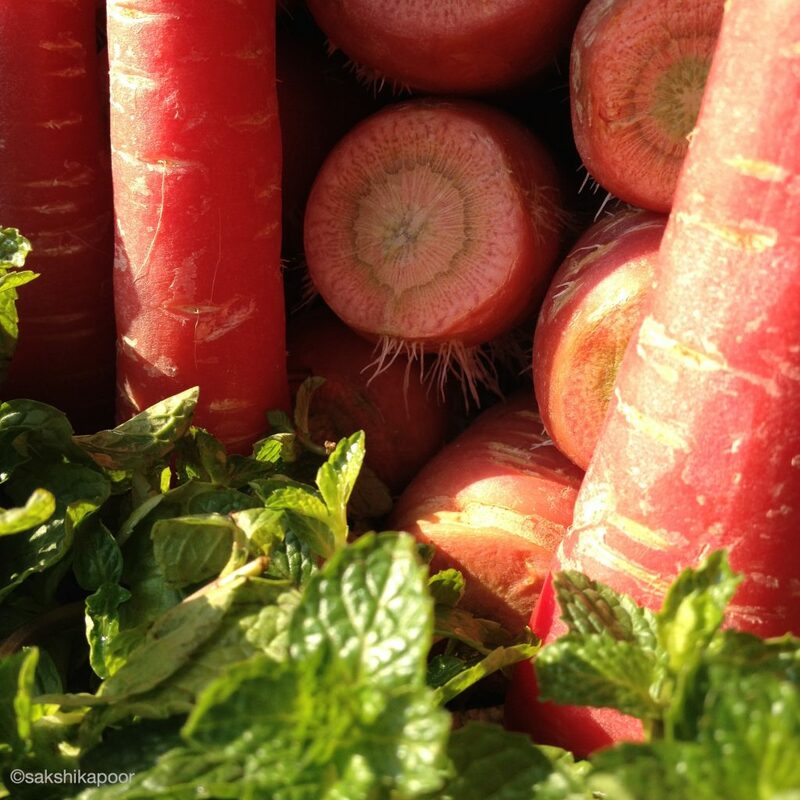 But red carrots aren’t that easy to find if one is not in North India. 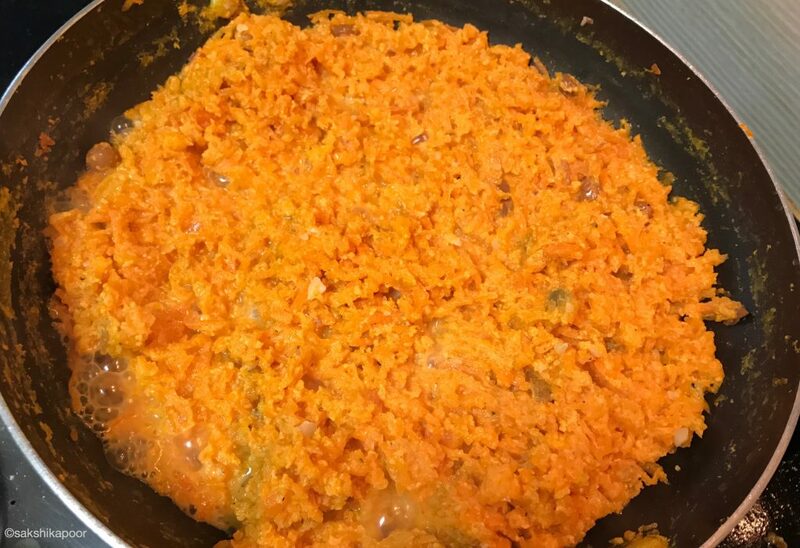 For those who don’t get their hands on red carrots, you can make Gajrela using other carrots- I used orange ones. In India people also make halwa with purple carrots. 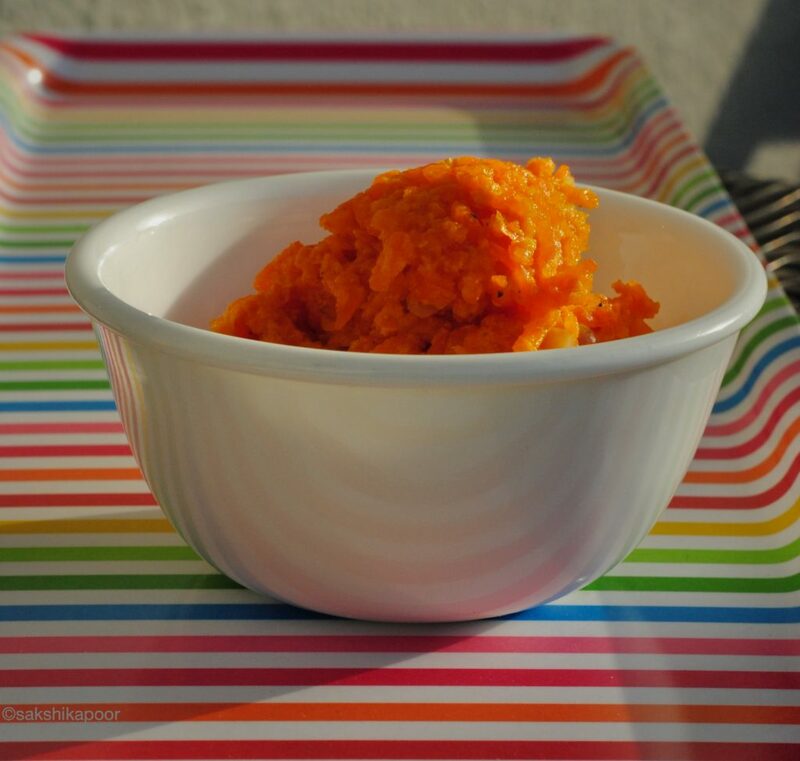 Some say the red ones are sweeter, but orange ones also make for a delicious halwa. 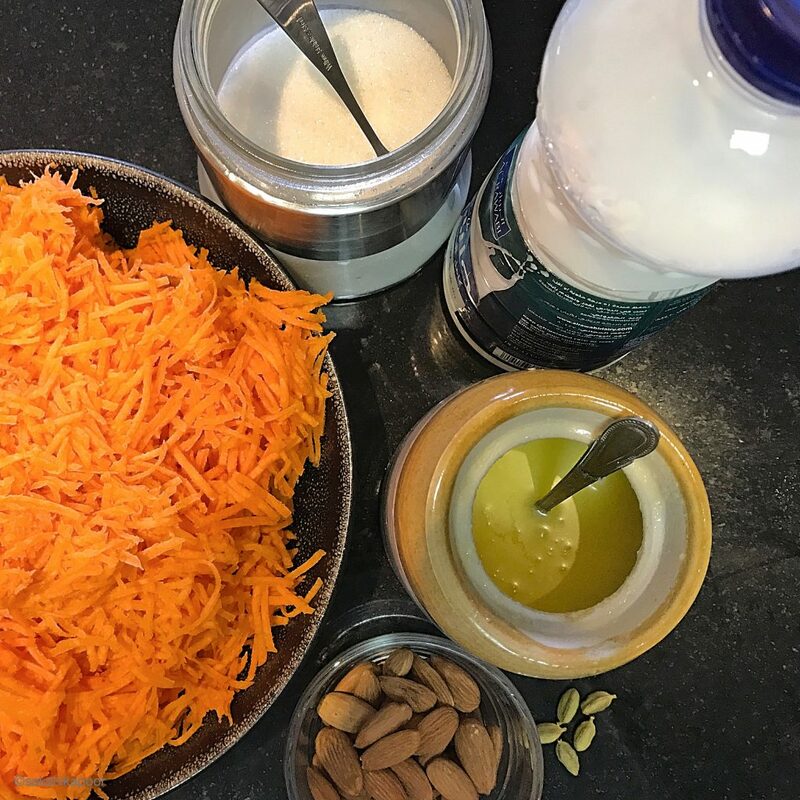 Gajrela is a simple and easy to make dessert- all you need in terms of technology is a food processor. In the olden days, women would shred carrots by hand using a shredder but things, thankfully, are simpler now. Besides the time taken in manual shredding, the preparation time for the Gajrela is about 2 hours approximately. Preparation Time : 15 mins ; Cooking Time: 2-3 hours; Total Time: 4 hours approx. 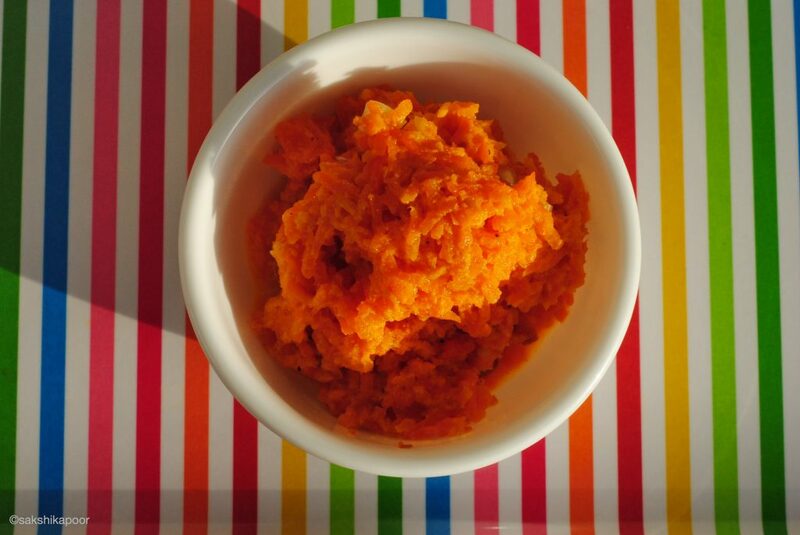 Wash and peel the carrots and shred them in a food processor. If you don’t have one you’ll have to use a handheld shredder. 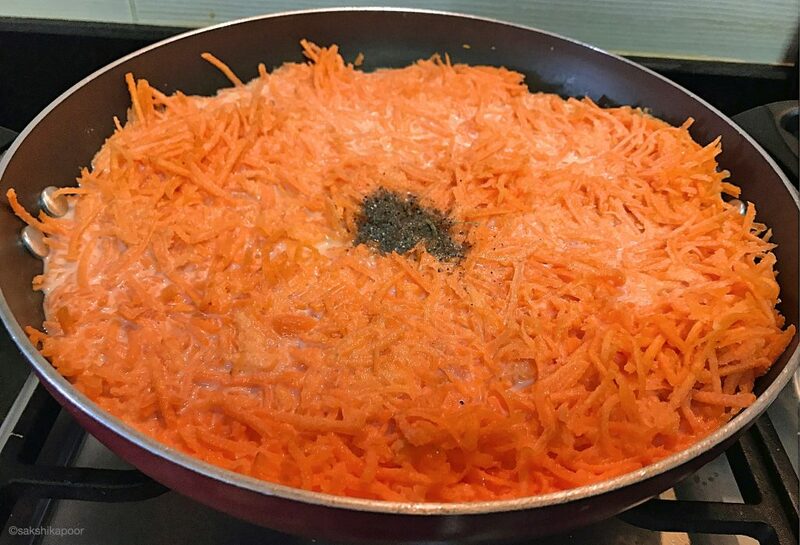 Place shredded carrots in a big wok on low heat. Pour in all the milk over carrots. Then, add cardamom powder and mix. 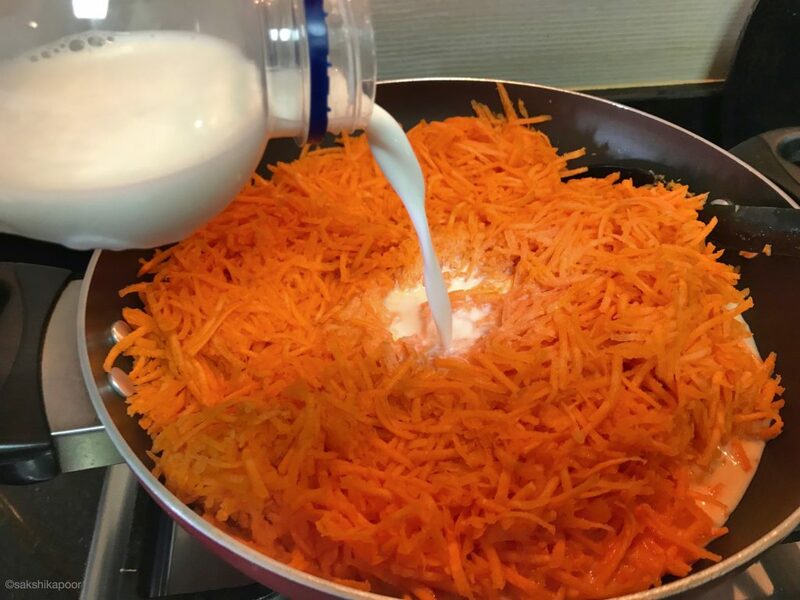 Cook carrots and milk in a wok. Cover and let this cook for half an hour. Check and stir. Continue cooking on medium heat until milk is reduced to half it’s initial volume. At this stage stir in chopped almonds. You can use other nuts like cashews and pistachio. Cover and cook for another half hour. 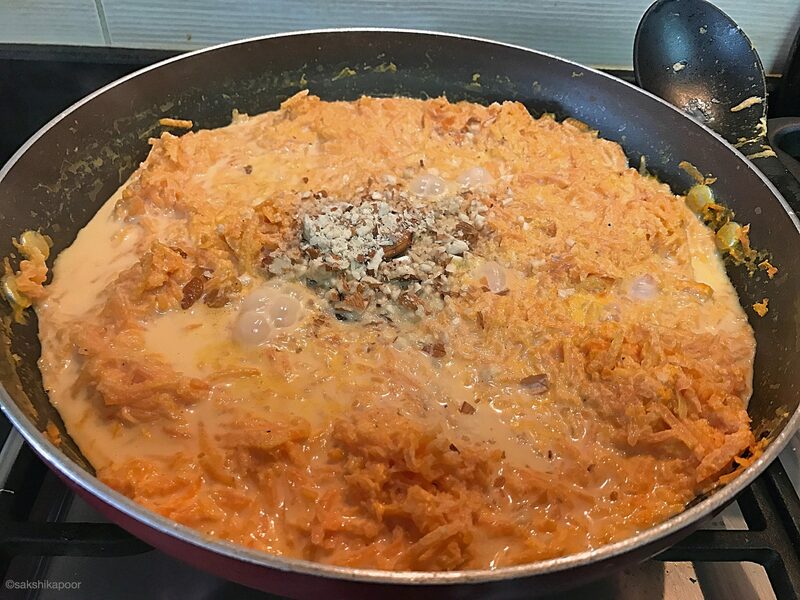 Once you see that the milk is reduced and absorbed in the carrots, you’ll see a white residue coating the carrots. That is basically milk transforming into khoya. Khoya is reduced milk used frequently in sweets in the Indian subcontinent. That is what lends the halwa a creamy texture. Some like to add store bought khoya to the Gajrela to make it creamier but I prefer it without the Khoya as the full fat milk makes it creamy enough. Some of you may like the halwa to be drier and cook until you see absolutely no milk in the wok. I, however, prefer the halwa be juicier so I go to the next step while there is still some 2-3 tablespoons of milk in the wok. That is when I give it a good stir, increase the heat to medium and add the ghee. Continuous stirring helps to evenly cook the halwa. A minute later, add the sugar and stir. The sugar melts in and you will find the halwa becomes slightly watery. Keep stirring and cook till you see the water disappear. Once that happens, the Gajrela or Gajar ka Halwa is ready to serve. It can be had right off the stove or cold, depending on your preference. I would recommend serving it warm. Put a spoonful in your mouth and it will melt all your worries away! 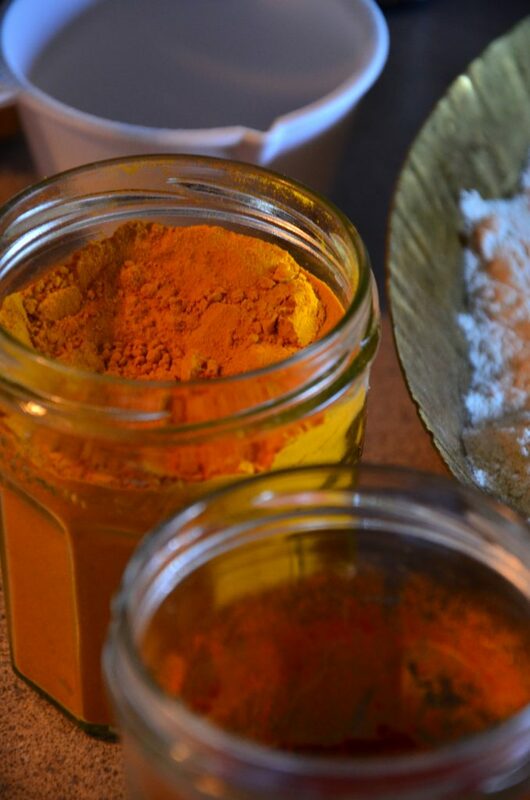 Enjoy this six ingredient, khoya-less, creamy Gajrela! Cover and let this cook for half an hour. Check and stir. Continue cooking on medium heat until milk is reduced to half it's initial volume. At this stage stir in chopped almonds. You can use other nuts like cashews and pistachio. 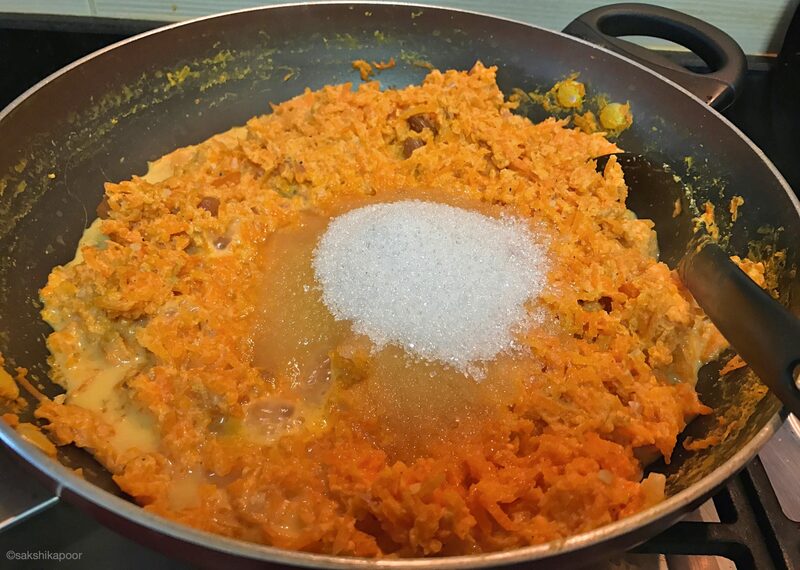 Once you see that the milk is reduced and absorbed in the carrots, you’ll see a white residue coating the carrots. That is basically milk transforming into khoya. Khoya is reduced milk used frequently in sweets in the Indian subcontinent. That is what lends the halwa a creamy texture. Some like to add store bought khoya to the Gajrela to make it creamier but I prefer it without the Khoya as the full fat milk makes it creamy enough.